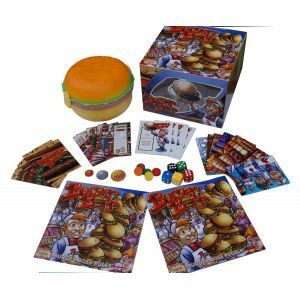 Burger Boss is a fast-paced, dice-rolling, worker placement tactical game for 3-5 players. 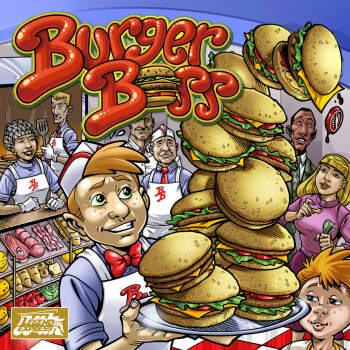 Players take charge of a small burger shack and are responsible for hiring workers, obtaining ingredients, and cooking and finally selling their juicy burgers at the highest price possible. 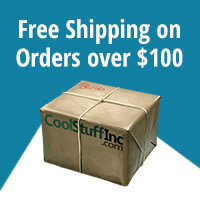 Do you have what it takes to turn your small burger shack to a global empire? Do you have what it takes to become the burger boss?